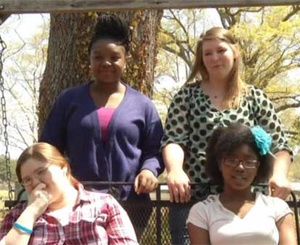 The students from Wilcox County High School thought that is was time for a change. They have been met however with strong opposition; the county and school board thinks things are fine as is. Literally, they said “we have no official stand on the matter”. Uhm, great. What makes matters worse to me is that the girls weren’t even trying to shut down the segregated proms, but instead hold a third integrated prom that all students would have the option to attend. Sounds fair enough to me. But because the other two proms are privately funded, the girls were told they would have to raise the money themselves. Womp Womp. Not only would they not help them out financially they even attacked the promo campaign. “I actually put up posters for the integrated prom and we’ve had people ripping them down at the school,” (one of the girls) told CBS Atlanta. Wow. I completely understand that it’s the older generation scared of change. But its time to realize that your children have had enough, and their children have had enough. Stop recycling Hate – its a broken record. I don’t care that its tradition – Break the tradition! Matter of fact do you know what is symbolically traditionally American? Breaking the Rules! I cheer these girls for taking action and standing against this foolishness. I applaud their families for raising such decent members of society, and I support them. Let me also say that the hate and ignorance is on both sides. I know without anyone telling me that there are plenty of older Blacks who don’t mind turning a blind eye to this. They figure, they don’t want us so we shouldn’t want them. Though I will not classify this as reverse-racism (because I think the word to be an oxymoron), it’s still wrong and (plain)racism nonetheless. 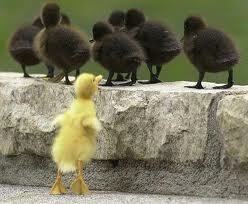 Many people will disagree with me, but I’m not for any type of racially based radical organization. 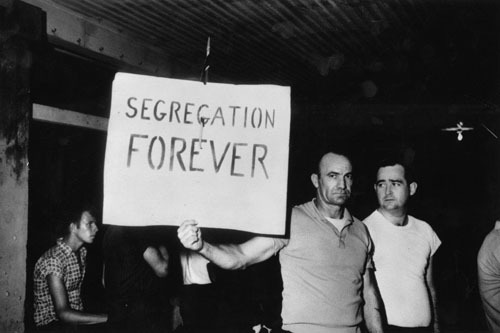 Never made much sense to me – fighting segregation with segregation, that’s stupid. Let’s raise awareness and stop the madness. Change is good. Sidenote: Terry Keleher’s (from colorlines.com) breakdown of Reverse Racism – its worth watching.